For half a millennium, Rome was the center of the world. The first city in history to have more than a million inhabitants, it ruled an empire that stretched from Scotland to Sudan. Its influence extended even farther: Roman coins flooded the markets of southern India, and scholars at the court of the Chinese emperor composed treatises on the city that ruled the western sea. Drawing on the tribute of sixty million subjects, Rome’s rulers created some of the ancient world’s greatest buildings. 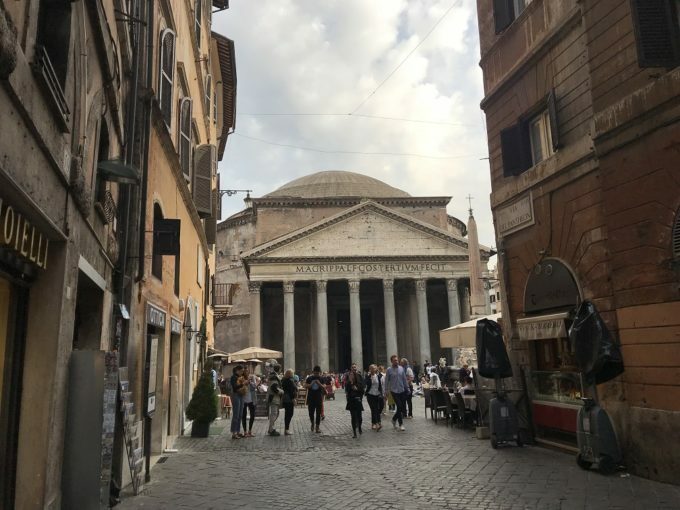 Besides being impressive architectural and engineering achievements, these buildings are artifacts – direct witnesses to the fascinating story of the Eternal City. 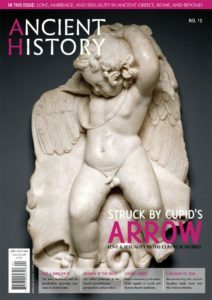 I designed “A History of Rome in Fifteen Buildings,” hosted on toldinstone.com, to bring that story to life. 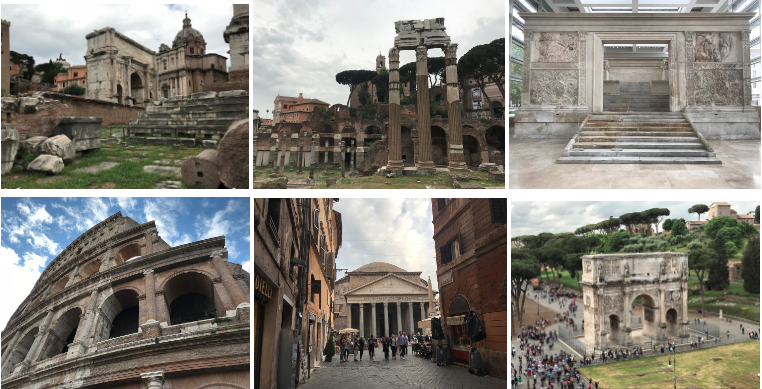 Each of the fifteen profiled buildings is presented in the context of a moment in Roman history, and explored through a podcast episode / Youtube video, a short story, and a photo essay. 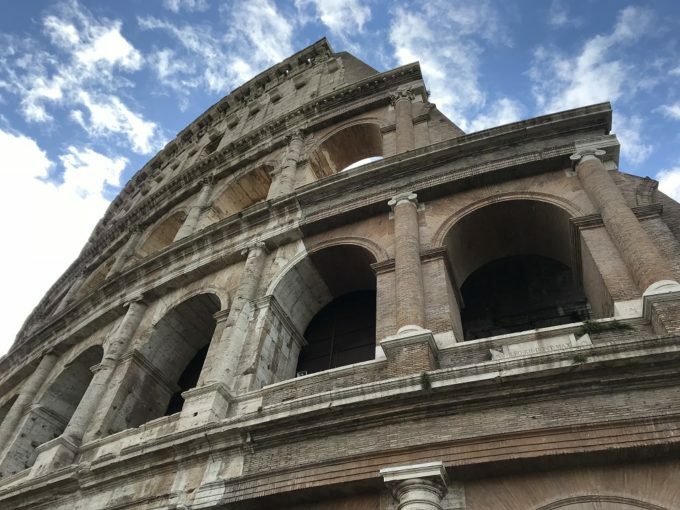 This article introduces the first ten of my fifteen buildings, which range in date from the foundation of Rome to the collapse of the Western Roman Empire. To visit the full page for any building, click on the link beneath the short description. For a thousand years, the Romans carefully maintained the crude mudbrick hut they called the House of Romulus. 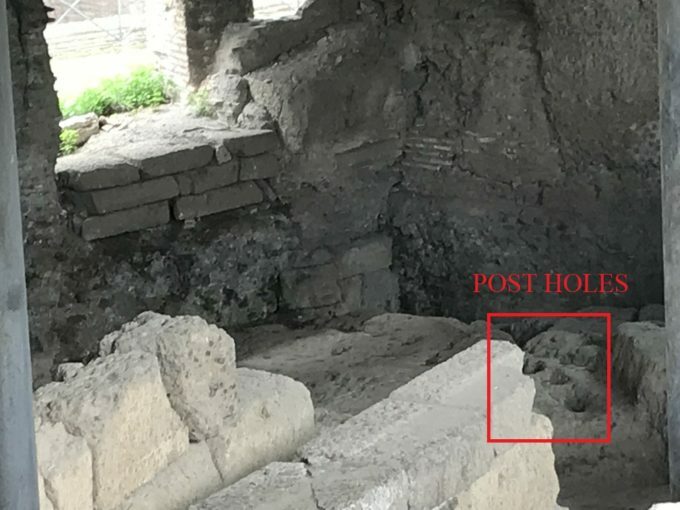 Although only the post holes left by this hut remain today, excavations around its site on the Palatine Hill tell a story about Rome’s origins at least as interesting as the familiar myth of Romulus and Remus. 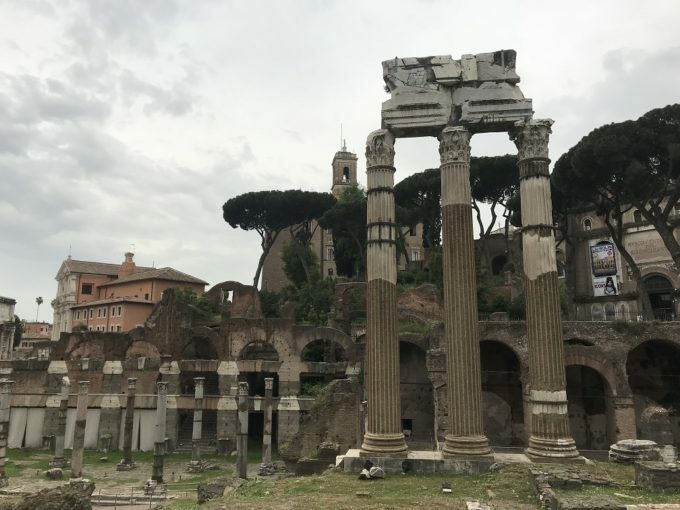 The Roman Republic, which lasted nearly five hundred years and conquered the Mediterranean basin, has left surprisingly few traces in Rome’s cityscape. 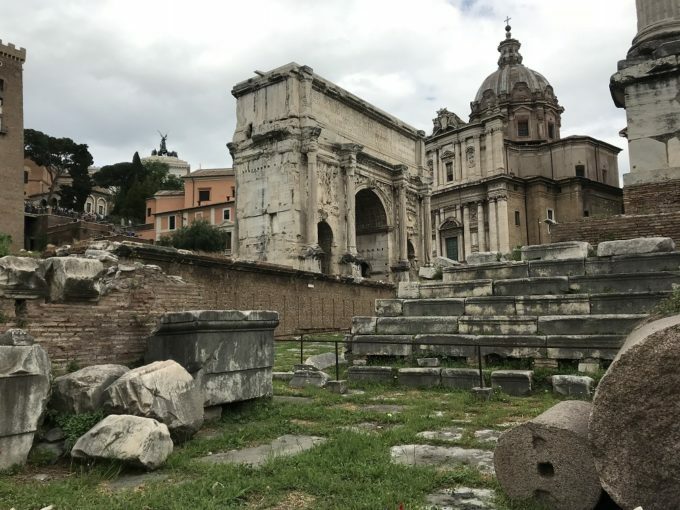 Of these, perhaps the most historically significant is the Rostra, the speaker’s platform in the Roman Forum. It was here, for example, that Cicero, Rome’s greatest orator, denounced Mark Antony – and here, a few months later, that Mark Antony impaled Cicero’s severed head and hands. Julius Caesar was a gifted speaker, a born politician, and a brilliant general. These qualities carried him to the pinnacle of Roman society – and brought about the end of the Roman Republic. Along the way, Caesar built a new forum with spoils from his conquest of Gaul, and embellished it with a temple dedicated to Venus. His habit of holding audiences on this temple’s podium convinced some senators that he needed a knife in the back. After Caesar’s adopted son Octavian defeated Mark Antony and Cleopatra at the epochal battle of Actium, he formally restored the old Republic. In reality, he remained all-powerful for the rest of his long life, governing the Roman world under the name Augustus, “the revered one.” A master of propaganda, he used the arts to associate his quiet autocracy with morality, prosperity, and – above all – peace. 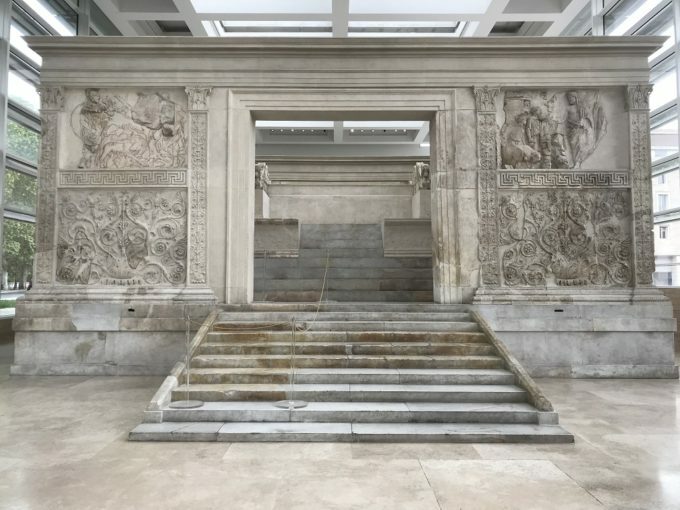 The reliefs of the altar dedicated to the goddess Pax (Peace) advertised his vision of the new golden age. Six lions fighting eight tigers! A troupe of performing elephants! Executions, accompanied by a full orchestra! Twelve gladiatorial combats, guaranteed to the death! So might a day of games at the Colosseum be advertised. No monument better encapsulates Roman imperialism – or its human costs. Besides being a lover of Greek literature, an avid hunter of lions, and a builder of long walls in Britain, the emperor Hadrian was a talented amateur architect. It is fitting that the Pantheon, the greatest Roman building, was constructed in his reign. The identity of the Pantheon’s architect is unknown; but whoever he was, he was a master of concrete, and a poet of interior space. Roman troops file in neat lines over raging rivers and trackless mountains. They crush barbarian forces in battle after battle, leaving fields of corpses in their wake. Villages burn, captives weep – and the lonely figure of the philosopher-emperor leads his legions to victory. 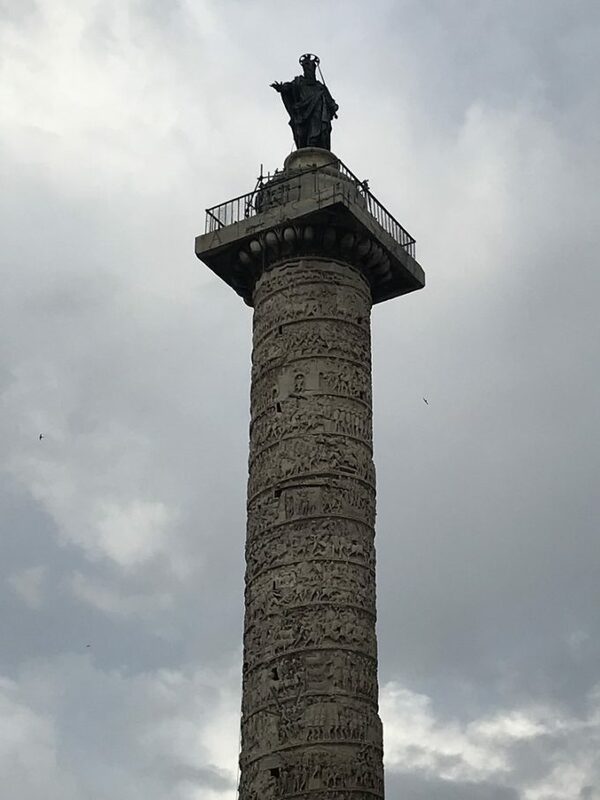 So the spiralling reliefs of the Column of Marcus Aurelius represent the brutal conflict that turned back the first wave of the barbarian invasions. The emperors who constructed the Baths of Caracalla were not an inspiring bunch. 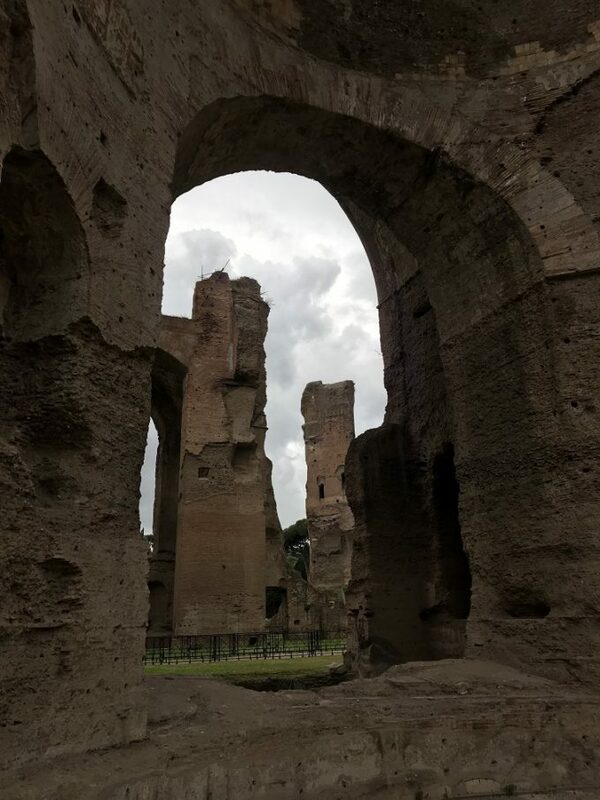 Caracalla, who built main bathing block, was a murderous sociopath. Elagabalus, who began the massive precinct around the Baths, was a half-mad fanatic. Severus Alexander, who completed the project, was an ineffectual puppet. But the complex they created, with its soaring vaults and glittering marble walls, was a spectacular testament to two characteristically Roman pastimes: public bathing and imperial megalomania. Just before he confronted his rival Maxentius at the Battle of the Milvian Bridge, Constantine had his soldiers paint Christian symbols on their shields. He won the battle, and became the first Christian Roman emperor soon after. 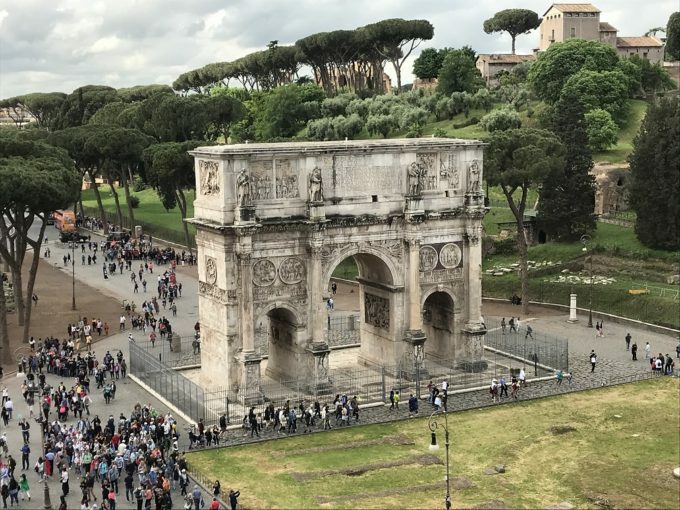 The Arch of Constantine, built to commemorate the victory at the Milvian Bridge, marks the first stages of his conversion, and the beginning of the religious revolution that would change the course of Roman history. 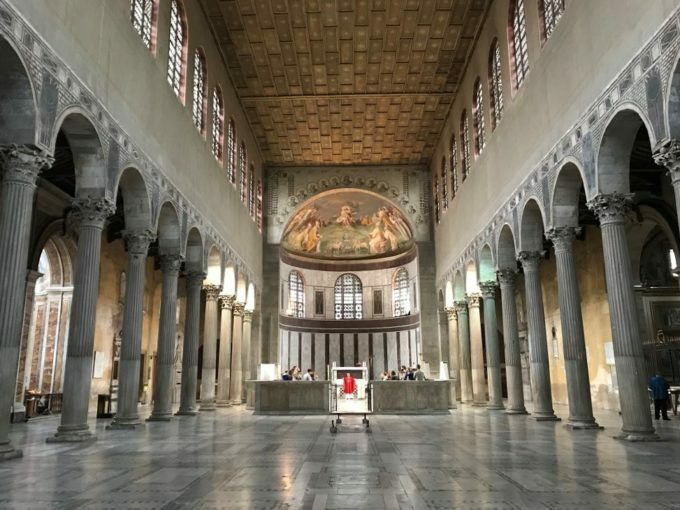 Santa Sabina is Rome’s best-preserved early Christian basilica. Built on land cleared by Alaric’s Sack of Rome, and dedicated by the pope who (probably) sent St. Patrick to Ireland, the church is a product of the years that witnessed both the collapse of the Western Roman Empire and the emergence of the Bishop of Rome as the leader of Western Christianity. For the history of medieval and Renaissance Rome, check out the rest of my History of Rome in Fifteen Buildings. 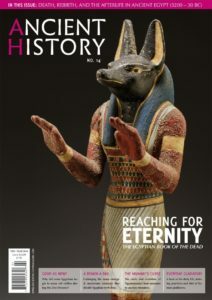 Garrett Ryan earned his doctorate in Greek and Roman History from the University of Michigan, and has taught in the History and Classics Departments of several universities. He is the founder of toldinstone.com, a website that explores history through buildings and monuments.